In this beer blog, we are going to talk about a brewery that I have not had too many beers. I was excited to see this in my beer box in my order from www.letspour.com. Full Sail Brewery was founded in 1987 in Hood River, Oregon. Their first beer was package in 1988 which was Full Sail Golden Ale. Full Sail is an employee-owned business. Full Sail is also the second largest brewery in Oregon and ninth largest craft brewery in the United States. Let us get into the beer. It has a jet black color without a head on the beer. The smell has a slight chocolate. The taste is a chocolate notes with a dry coco aftertaste. It is kind of drinkable. 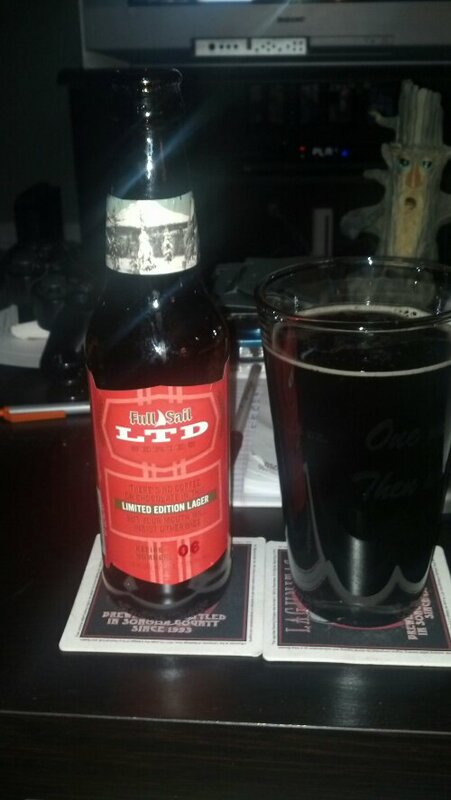 LTD 06 Black Bock – There’s no coffee or chocolate in this limited edition lager but your mouth might insist otherwise. Brewed for the Holidays, this black bock is lush and full-bodied with hints of roast, coffee, & chocolate in the aroma followed by flavors of caramel & figs with a long creamy smooth finish. Brewed as a Czech style Cerné Speciální with 2 row Pale, Munich, Caramel, & Chocolate Malts & hopped with Santiam and Perle hops.